Dr. Daniel Hale Williams was born in Hollidaysburg, PA in 1856. He completed his medical training at Chicago Medical College in 1883. 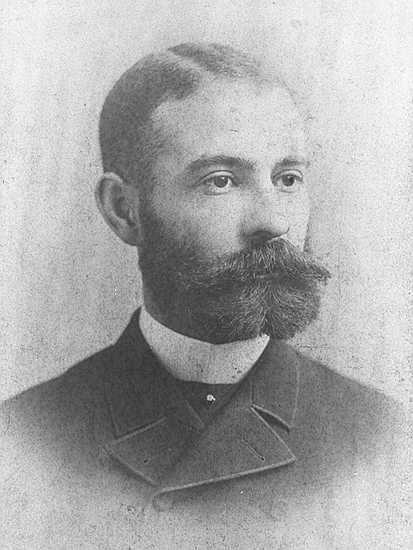 He subsequently set up his own practice on Chicago’s South Side, becoming one of only 3 black physicians in Chicago. At that time, African American citizens were still barred from being admitted to hospitals and black doctors were refused staff positions. As a result, in 1891 he founded Provident Hospital in order to provide medical care for African American patients and to train the next generation of African American doctors and nurses. In addition, Dr. Williams continued to work at the forefront of medicine – becoming the first physician to perform successful open heart surgery on the pericardium in 1893. In 1894 he moved to Washington D.C. to become the chief surgeon at Freedmen’s Hospital, which provided care for former slaves. Because the American Medical Association was still closed to minorities, in 1895 he co-founded the National Medical Association.